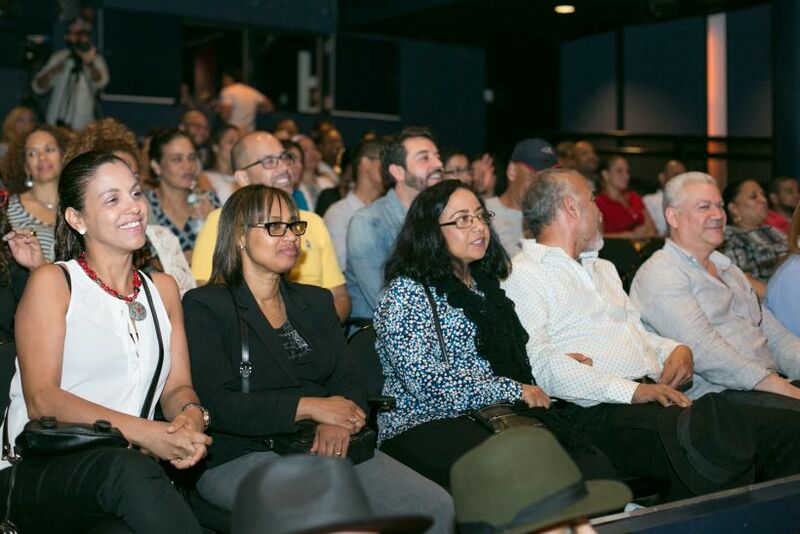 The Global Foundation for Democracy and Development (GFDD) has once again brought together the Dominican community in New York City, this time to present the famous Dominican singer, musician, and songwriter Pavel Nunez. The popular event was held at the Symphony Space Theater in Manhattan this past Thursday, May 28 at 6:30 p.m. The event began with welcoming remarks from Maria Victoria Abreu, International Affairs and Socio-Economic Development Program Manager for GFDD, and was followed by the presentation of two short videos, one promoting the programs and initiatives of GFDD and a second one illustrating Pavel’s musical trajectory. 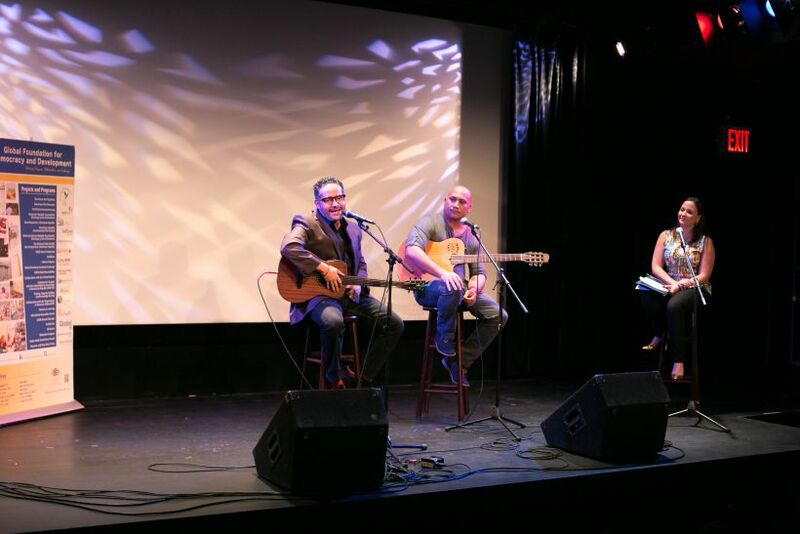 Pavel then took the stage accompanied by his longtime friend and fellow famous Dominican musician, Rafa Payan. Pavel has a history of over 15 years in the music world and is known for his unique style that mixes rhythms and tells stories through his songs. He delighted the audience with his melodies and personal anecdotes about his adolescence and his beginnings as an artist. Pavel began his musical career with the guidance of another famous and beloved Dominican artist, Victor Victor. His first hit was the song originally titled, “Entre Tu Distancia y Yo’’ which Victor Victor changed to “En Tu Saliva” in order to make it more commercial. Throughout his career Pavel has received many awards such as Revelacion del Año in Premios Casandra 2001, and Artista del Año in Premios Casandra 2004, 2006, and 2007. His album “Atlantis” was nominated for the Latin Grammy Awards in 2010. He has also accompanied many famous Latin American artists in their shows and tours such as Franco De Vita, Juan Luis Guerra, Luis Fonsi, and Victor Manuel among others. During the event Pavel also commented about his participation in the Dominican movie, “La Montana” which he described as “one of the most inspiring movies ever made in the Dominican Republic.” He compared the challenges of scaling the mountain to the challenges that people face every day when overcoming obstacles in their lives. During the event the audience had the opportunity to ask questions, which Pavel responded to in his graceful and sometimes funny manner. The evening was a mix of anecdotes, songs, melodies, and direct contact with the public. At the end of the night, Pavel thanked everyone for attending and encouraged them to continue promoting and supporting the talent in the Dominican Republic. The artist received a standing ovation from a full auditorium, and the audience left very pleased and delighted with the event.